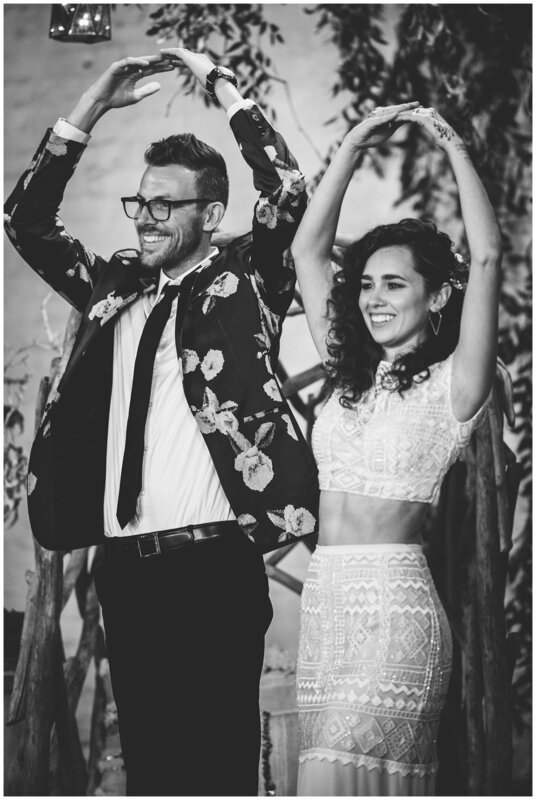 Ry and Lydia's wedding was truly one of our favorites of all time. I don't think we've ever had clients whose style so closely mirrors our own (which made their day SO fun for us to capture). 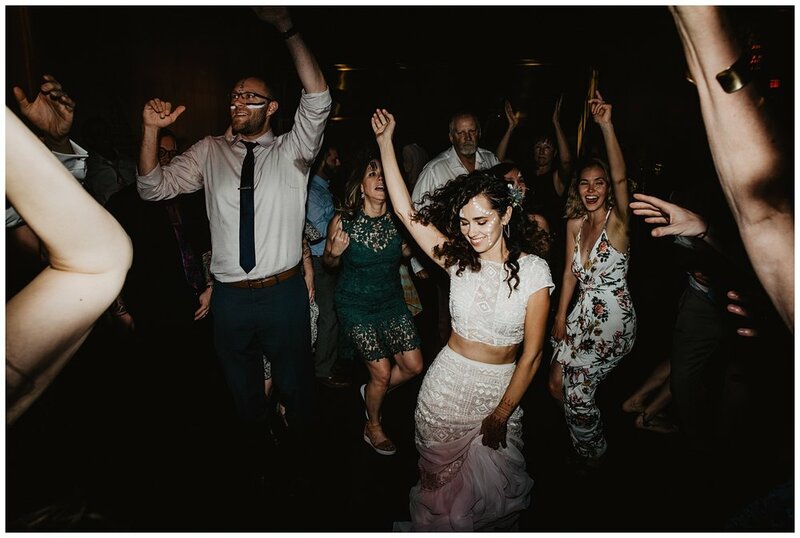 They incorporated beautiful details throughout their day that genuinely reflected who they are as a couple - from their Moroccan lounge reception to their "street food from around the globe" dinner menu. 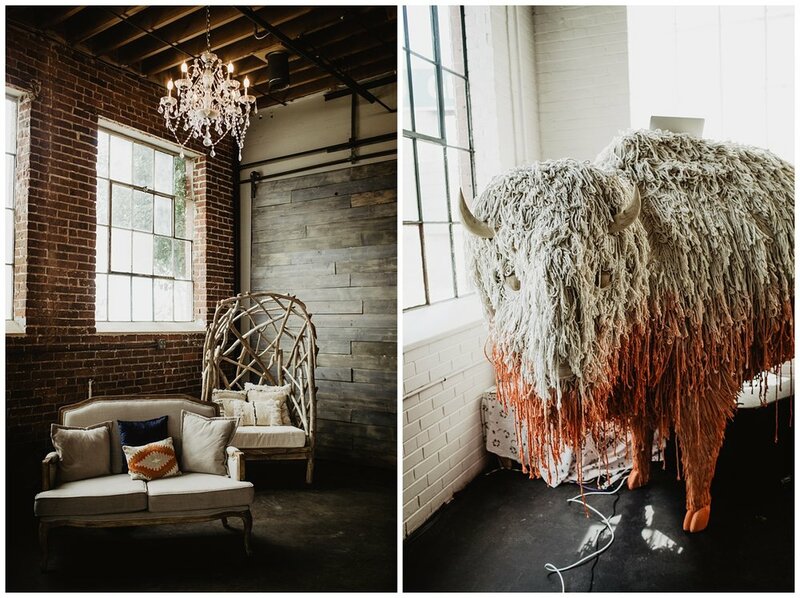 Lydia got ready at Denver's new (+ incredible) Ramble Hotel in the River North Art District of Denver, CO. The moody tones and lighting made our creative hearts explode. Lydia had henna done by the amazing Henna Luna, and it was absolutely perfect + fitting for their boho themed day. 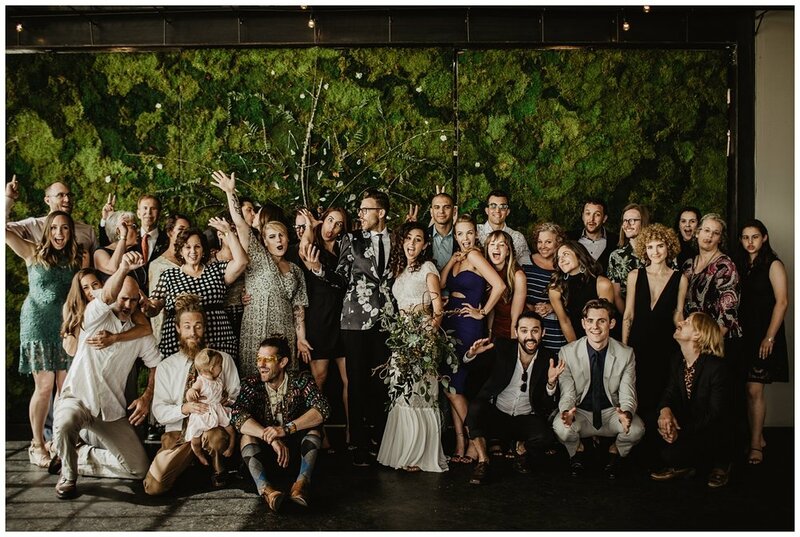 She and Ry did their first look in front of our favorite mural in one of RiNo's art alleys before we headed to their ceremony and reception at Moss. Every detail of Ry and Lydia's day was so thoughtfully crafted and impeccably executed. Ry and Lydia had one of their closest friends marry them in a beautiful ceremony filled with raw emotions and some of the most authentic vows we've heard. Then, instead of a traditional reception, R + L opted for a Moth-esque storytelling hour. Some of their closest friends and family shared moving songs, poems, and reminiscent stories honoring Ry and Lydia's lives + love story. After The Moth, the most EPIC dance party ensued — complete with face paint, a fog machine, and Ry as DJ behind their huge resident buffalo. We had the honor of capturing both photo + video for Ry and Lydia. The vendors who made this day possible are below, as are some of our favorites.